This Cemetery or Burial Ground was founded in 1804, though it is now closed, but we don't yet know when. Note that the street it was adjacent to is named "Chaple Way" (sic) on Google Street View. This was attached to the original Methodist Chapel, built by Mr. John Thornley, a local mill owner, in 1804 - the first to be built in the Borough of Glossop and surrounds, though earlier meetings had taken place at his mill, now submerged by the Valehouse Reservoir. It proved to be too small for an expanding congregation, when more cotton mills were being built, and in 1876 it was replaced by a new Chapel in Bank Street. A fuller account of the chapel's history is available on a webpage provided by the Glossop Heritage Trust of Glossopdale Churches and Chapels. Now or formerly a Cemetery (Methodist). 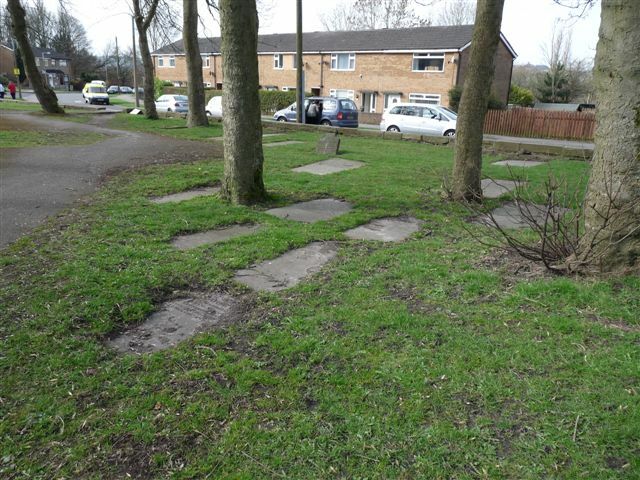 Remains of Methodist Burial Ground, Hadfield shown on a Google Map. Information last updated on 19 Mar 2011 at 19:24. This Report was created 31 Mar 2019 - 18:45:41 BST from information held in the Derbyshire section of the Places of Worship Database. This was last updated on 6 Feb 2019 at 15:49.